Teaching poetry has always been one of my favorite units! I especially love reading the amazing poems that students write. 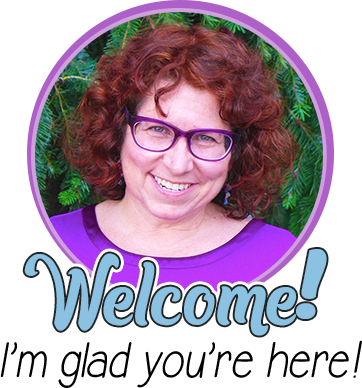 Whether you are starting a poetry unit or want to integrate poetry into your curriculum all year long, here are some ideas to make poetry fun and meaningful for your students. 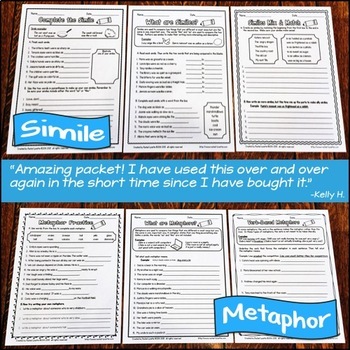 Before you begin a poetry unit, you may want to make sure your students are familiar with figurative language, such as alliteration, onomatopoeia, simile, metaphor, and personification. Fluency with a thesaurus is also a good skill to have. You may also want to use rhyming dictionaries (ideally online). Consider creating a permanent poetry bulletin board in your classroom. Every few weeks, change the type of poem you display. You could also include information about that poetry form and possibly some famous works. Another option is to feature a different poet each week with samples of their work. 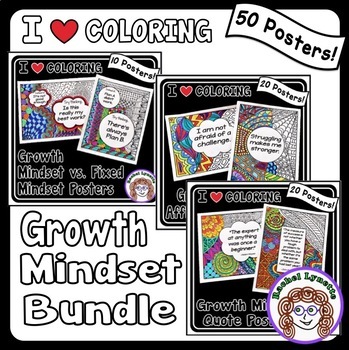 Create a “Poetree” in your classroom. You can either do it like a Christmas tree and have students write poems and hang them on the tree like ornaments, or you can make a large tree on one of your walls and have students write their poems on leaf or apple-cut outs to put on the tree. Create a class poetry blog, or use a page from your classroom blog, just for student poems. 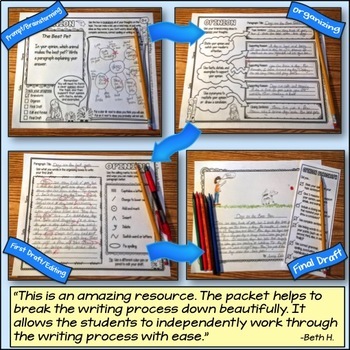 Older students could post their own poems, along with an image. Encourage students to comment on each other’s posts. 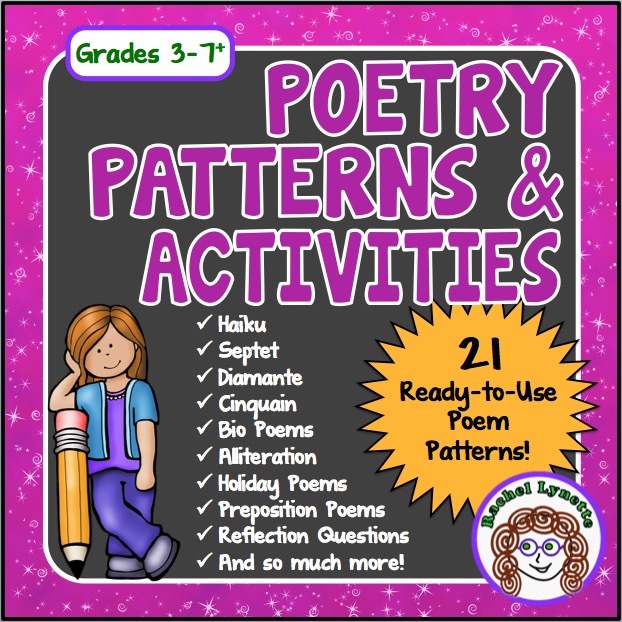 Poetry patterns are an easy and effective way to bring poetry to your classroom. The structured approach takes the fear out of the writing process and results in surprisingly good poems. Holidays are a great time to write poems. 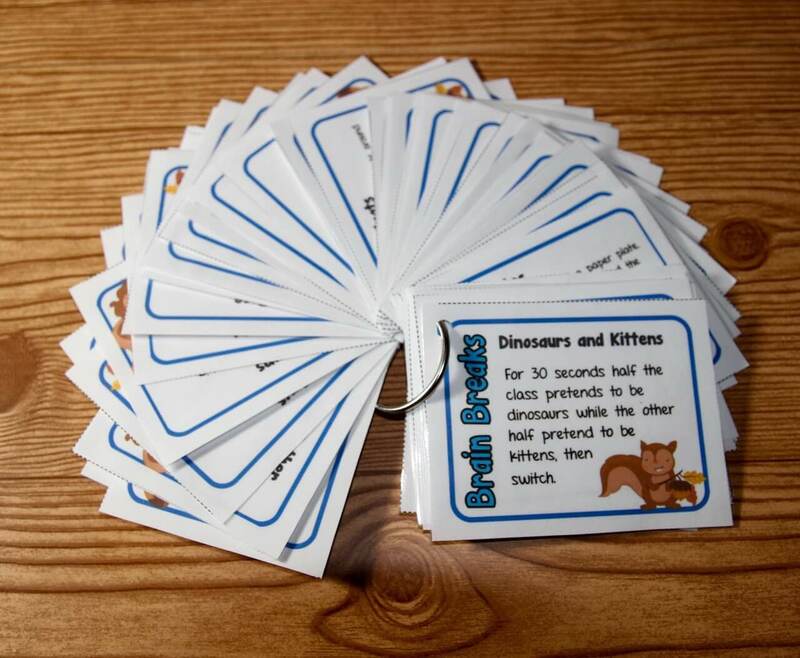 Why not have your students make Christmas, Valentine’s, or even Earth Day cards that feature poems? Similarly, students can write about whatever you are studying in science or social studies: space, dinosaurs, mammals, countries, pioneers, the flag, etc. You could even take everyone’s poems and compile them into a book for poems all about one topic. Integrate art by having students choose their favorite poems to copy onto nice paper and illustrate. Watercolors are particularly nice with many poem types. For haiku, consider painting in the Japanese style of black/gray watercolor lines. You could also have students research how to write the subject of their haiku with Japanese characters. 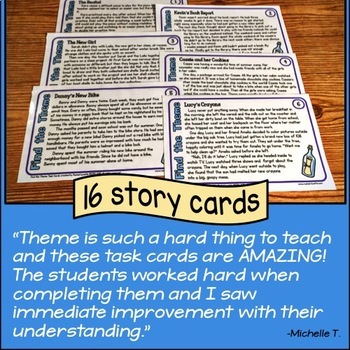 Publish an anthology of your class’s work. It could be as simple as copying pages and binding them yourself, or you could do a fundraiser (a poetry reading, perhaps?) and use one of the many self-publishing options available. Parents, grandparents, and friends will line up to buy books that feature their children’s work. Be sure to put a copy in your class library. Have students keep poetry reflection journals. One way to do this is to have students copy their own poems into their journals and then write about the poem – where they got the idea, favorite words or phrases, how it makes them feel, etc. 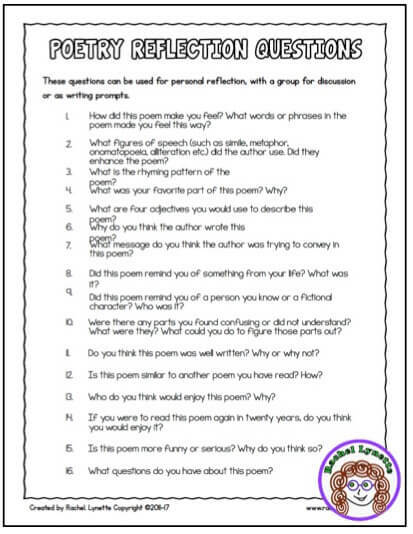 Another way keep a reflection journal is to have students collect poems by well-known poets. 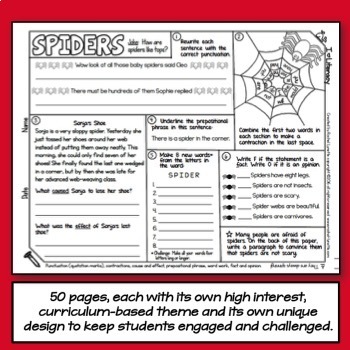 Students can print them out and glue them into their journals and then write reflections about them. 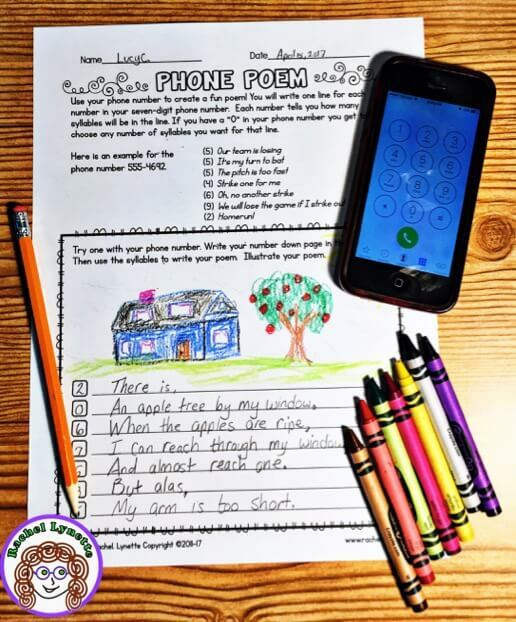 Be creative; there are so many fun ways to write poems! Write an acrostic poem. Go outside and write about nature. Roll dice to determine the number of syllables for each line. Or, how about having students use their phone numbers to determine the syllables? Partner Poem writing is a fun thing to try. Each student writes one line of a poem and then trades papers with their partner, who writes the next line. Students keep trading back and forth until the poem is done. This is particularly challenging with rhyming poems. It also works well with many poetry patterns. Another variation is to have everyone in the class start the same type of poem, then pass papers in one direction for the next line. Keep passing in the same direction for each line until the poems are done. Then, return the papers to the student who wrote the first line to see how the poem evolved. Make sure to leave some time for sharing – these are always amusing! 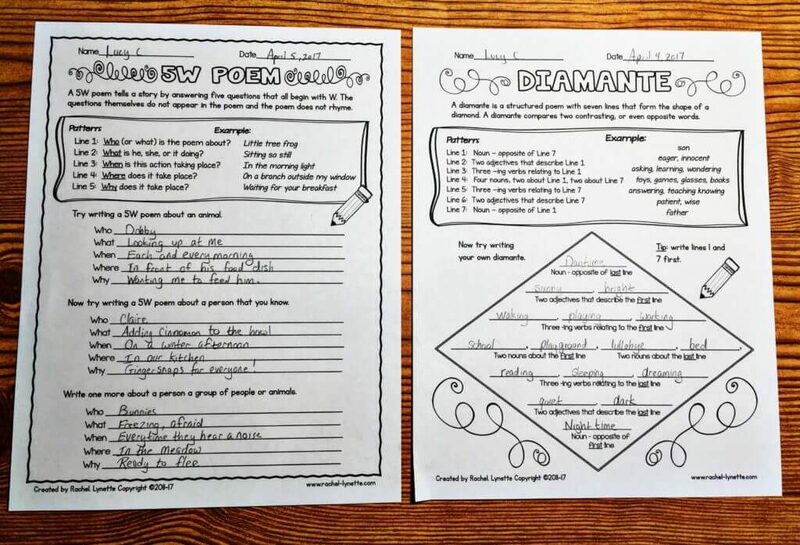 Consider holding monthly class poetry slams so that students can share their work. 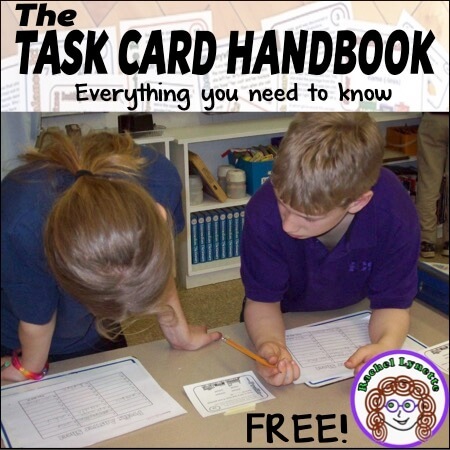 You could do it with just your class, invite another class as an audience or invite parents. Another option is to do a more formal poetry reading at the end of your poetry unit (possibly with refreshments, a printed program, and students dressed in nice clothes). Each student could choose a favorite poem to share. 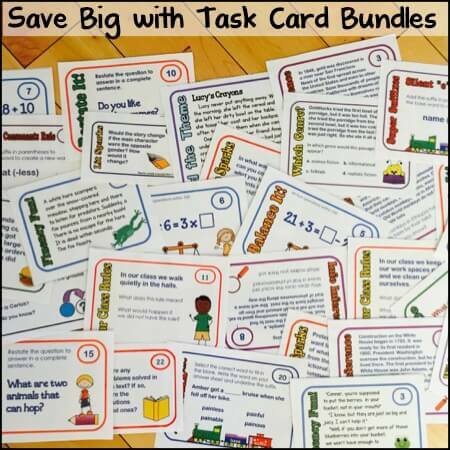 Keep your classroom library well stocked! In addition to kid favorites, like Shel Silverstein and Jack Prelutsky, also include anthologies and picture books that have been written in verse. Collections of poems written by students from past years is also a fun idea. Hold poetry circles in a similar way you would hold a literature circle. 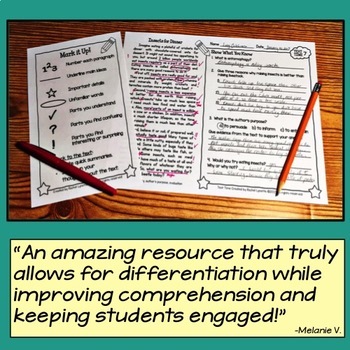 Or, use it as a time for students to share favorite poems in small groups. Have students memorize poems to recite. Here is a great list. Reciting poems as a group is fun, too. Different individuals or parts of the group say different lines. Great for a performance. 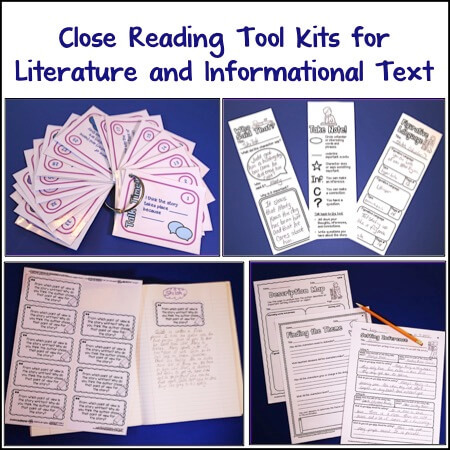 Create a class poetry scrapbook where students can print out and glue favorite poems. Have students do poet reports. They can write a formal report on a poet and then do a presentation that includes one or more of the poet’s poems. Post a poem of the day (or week). Or, for older students, have each student take a turn choosing a poem of the day or week and presenting it to the class, along with a little information about the poet (a little like Garrison Keillor’s Writer’s Almanac). Remember to celebrate National Poem in Your Pocket Day on April 14th (right in the middle of the National Poetry Month). Encourage students to carry and share their poems. Make it a school-wide event by offering freebies/prizes for kids who bring poems and by having poem reading events. And finally, the poem “Invitation” by Shel Silverstein is a nice one to blow up on the copier and post on the door of your classroom. 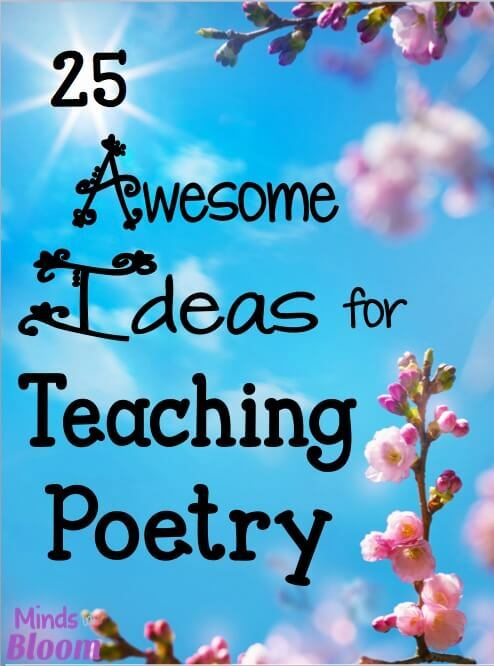 What a fantastic resource for integrating poetry in the classroom. Thank you for listing so many easy to apply ideas. There are so many times where I’ll search for ideas to implement and the information I find is hypothetical and subjective. After reading your post I got at least 10 things I can do right away no brian stress… lord knows I don’t need any more of that! I like the idea of sharing the responsibility to create the poem.